2 Bedroom Ground Floor Flat For Sale in Renfrew for Offers Over £85,000. 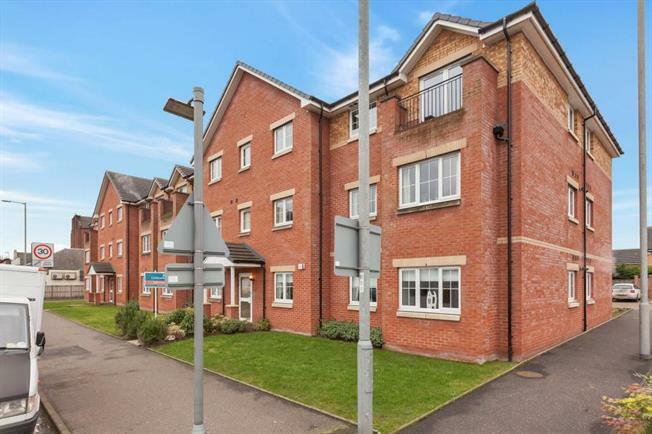 An immaculate modern ground floor flat set in this popular development close to many local amenities. The excellent accommodation on offer extends to reception hallway, open plan lounge and luxury fitted kitchen, two bedrooms and luxury bathroom. The property has gas central heating, double glazing and security entry. There is private parking and communal areas. Early viewing is highly recommended to appreciate the accommodation and location on offer. Renfrew itself offers local shopping, schooling and public transport facilities. The neighbouring countryside caters for a wide range of sports/leisure activities including fishing, golf and all equestrian pursuits. The property is convenient for the David Lloyd Sports Centre, Braehead Shopping Centre, Xscape arena and the M8 motorway network which provides access to most major towns and cities throughout the central belt of Scotland as well as Glasgow International Airport.